Bypass Jailbreak Check in Pokemon Go: Pokemon Go is a new trending game all over the world. Awaited gaming app finally released on to Google Play store and iOS App store. Pokémon Go is a free-to-play location-based mobile game developed by Niantic Nintendo Company. Pokemon Go released in earlier July 2016 for iOS and Android devices. The game allows players to capture, battle, and train virtual creatures, called Pokémon, who appear on device screens. It makes use of GPS and camera of compatible devices. Get complete description about Gameplay of Pokemon Go here. Pokémon Go with in less time quickly became one of the most downloaded and top gaming app for smart devices. 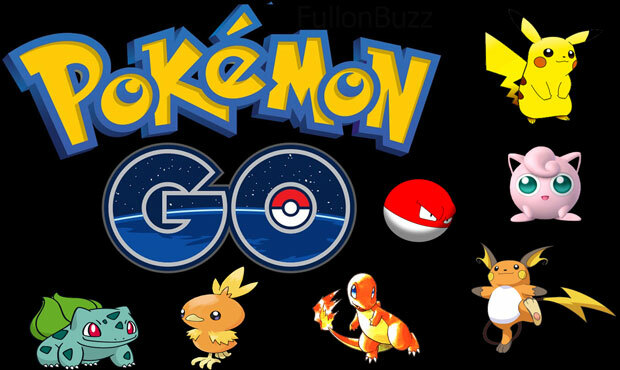 Looking for latest Pokemon Go apk 2016 version get here. Actually, Pokemon go game is compatible with some devices only you can have look onto devices below. Intel CPUs are not supported. Here you will be seeing something Pokemon Go is not Supported on Jailbroken devices. 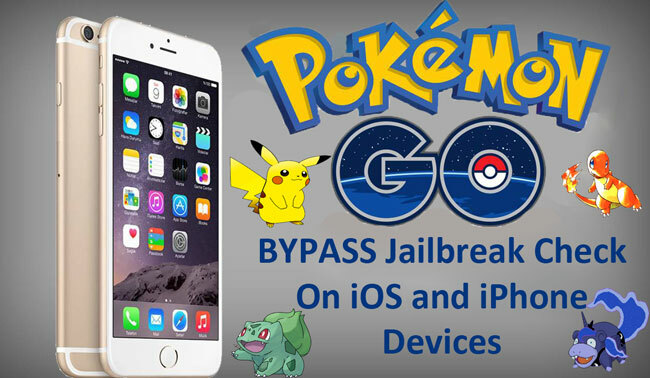 So in this post I gonna talk about how you can bypass jailbreak check-in pokemon go on your iPhone iOS device. Pokemon Go will not play on jailbreak iPhone devices because it’s program detects whether the device in which pokemon go is installed is Jailbroken or Not. However, there are lots of users who jailbreak their iOS devices. > How to Fix Failed to Detect Location of Pokemon Go Game on Android/iOS devices To all those people with jailbreak device no need to worry anymore as I will tell you How you can bypass Jailbreak check-in pokemon go on your iOS iPhone devices. CokePokes, a brand new jailbreak tweak called Masterball lets you bypass the jailbreak detection in Pokemon Go app on iPhone and iOS devices. Master ball Tweaks actually makes the program unable to detect whether of a device is jailbroken or not i.e it bypasses the jailbreak detection on Pokemon GO game and allows the user to play Pokemon GO as the normal people play. MasterBall Tweak Is Compatible With Below iOS Versions : iOS 8 +, iOS 9, iOS 9.1, iOS 9.2, iOS 9.2.1, iOS 9.3, 9.3.1, 9.3.2, iOS 9.3.3, iOS 9.4, iOS 10 and Above. > How to Fix GPS signal not Found in Pokemon Go Game On Android and iOS devices. Now get Pokemon Go App on your iOS device iPhone. Search for the master ball and install on to the device. That’s it now open Pokemon GO it works normally as in non jailbroken devices. Here I’m mentioning few alternatives for Master Ball Tweak that can be used to bypass jailbreak detection on iPhone/iOS devices. You can also install alternatives of Master Ball tweak like Poke Patch Tweak, tsprotector 8+, Poke go ++ in a similar way as Master Ball tweak installation. Any of the above-mentioned tweaks will surely work that makes Pokemon go functional well even on jailbroken devices. How to Fix Player or Character not moving in Pokemon Go on Android/iOS Mobiles. Is it safe to Bypass Jailbreak Detection in Pokemon Go Game?????? You are thinking in a smarter way but the technology is way smarter than us. Above tweaks will definitely bypass jailbreak detection but in some extreme cases, your pokemon go account will be lost. Because you used it on a jailbroken device.